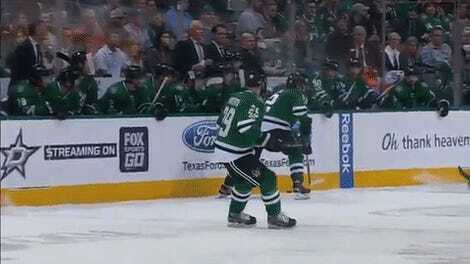 Hockey scrums can be a chaotic mess of limbs, so it’s understandable that the Wild’s Chris Stewart would accidentally biff teammate Zach Parise in the face during Sunday’s game. What’s better is that Stewart tried to play it off by smacking someone else. 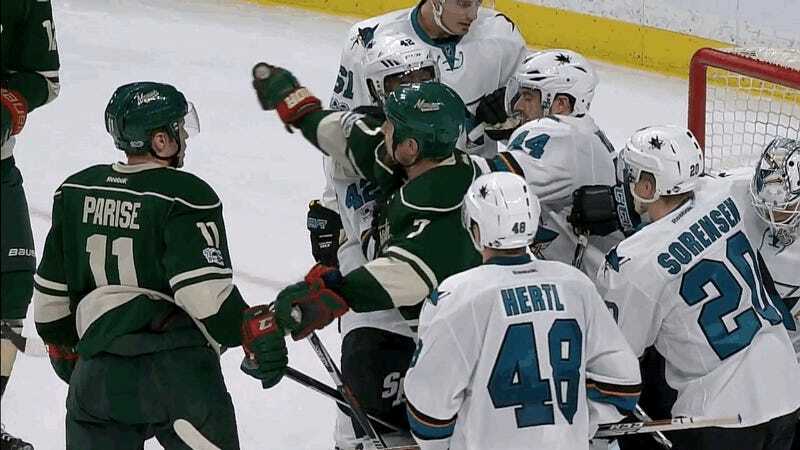 After the friendly fire, Stewart redirected his hand right into Sharks winger Joel Ward’s face. Everyone had a good laugh afterward as they menacingly gripped each other’s uniforms.